There is little emphasis on the challenges faced by family members when a loved one is struggling with mental illness or addiction. Addiction and untreated mental illness creates a high level of stress for parents, siblings and those close to the person. Everything from competing demands, internal and external conflict, confusion about the illness to intense feelings of powerlessness are common for families during times when they are relied upon to provide necessary support for their loved one. Our day to day lives are greatly influenced by the actions and needs of a loved one with mental illness or addiction, or both. We may find relations with other family members strained, have less social contact with friends, and experience a decline in our overall health and well-being. We typically find that our lives are increasingly centered on things we cannot control, experiencing highs and lows intimately tied to the well-being of our loved ones and their attempts to become healthier. We fear for them and seek to protect them. Even with the best of intentions, many of us find that we are unwittingly enabling our loved one’s behaviors by remaining entrenched in their illness. Their perspectives and behaviors can be irrational and confusing because understanding addiction and mental illness is contrary to our own way of thinking. 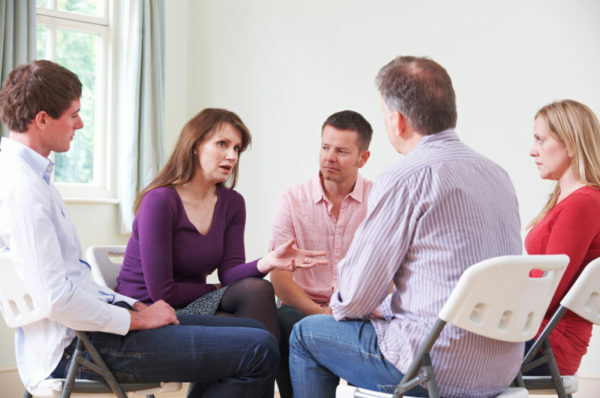 The importance of seeking the counsel of those with personal experience in recovery, and those who work professionally in the field, is vital to our own health and well-being. It’s a common misnomer that family members are not eligible for supportive services. This is objectively untrue. In addition to many grassroots and 12-step community-based programs, family members are also eligible for counseling (individually, as couples, and as a family). Being an “Affected Other” (person with a loved one who is active in recovery) is recognized as a treatable condition by health insurance companies. Correspondingly, living with a loved one who is mentally ill would qualify you for treatment under the auspices of an “Adjustment Disorder” (struggling to adjust to life based on specific external circumstances). Family members can play a vital role in the recovery of their loved ones. Offering to participate in treatment, attending self-help meetings, or helping to coordinate treatment can be invaluable support. Too often these opportunities are missed because we tend to fear intruding or simply don’t talk openly and constructively about solutions. Recovery is a personal journey that is best done with a support system. Everyone can benefit from relating to those with shared experiences and goals. Recovery is not the absence of a problem nor is it simply a matter of abstinence or taking medication for mental illness. Recovery is an ongoing process in which we seek transformation to become progressively healthier and happier. Stigma is one of the greatest barriers to healing and support for both the individual and for families. Too often, folks struggle alone because they feel ashamed or expect to be judged harshly. Reducing stigma requires educating, advocating, and sharing our strength, and hope. It requires open and honest dialogue about our struggles. At Maine Behavioral Healthcare, we understand the stress families experience and the tremendous need for support. There are many free resources for families in the community, including the National Association for Mental Illness or NAMI Maine, as well as Al Anon and Nar Anon.